The African foremost institutional, Guaranty Trust Bank plc (GTBANK), has named Mr. Mobolaji Lawal as an Executive Director and Mr. Babatunde Soyoye as Independent Non- Executive Director, reports ITRealms. GTBank’s Board of Directors made this appointment on Thursday in a press statement made available to ITRealms. 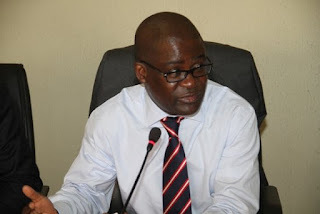 Prior to his appointment, Mobolaji Lawal was the Divisional Head, Digital Banking Division. Mr. Lawal who joined the Bank in 1992 as an Executive Trainee and rose through the ranks to become a General Manager, a position he held until his appointment as Executive Director. He has over twenty-four (24) years’ of banking experience which covers various aspects of banking including Credit Risk Management; Corporate Banking Group; Commercial Banking Group; Investment Banking and Corporate Finance where he served as Group Head. Under his leadership, the Group worked on several landmark debt syndications, capital market and project finance transactions both in Nigeria and abroad. He holds a Bachelor of Law degree from Obafemi Awolowo University (1990); B.L from the Nigerian Law School (1991) and a Master of Business Administration from the Oxford University, United Kingdom (2002). He has also attended several executive management and banking specific developmental programs in leading educational institutions such as Harvard Business School, Stanford Graduate School of Business and Institut Européen d’Administration des Affaires (INSEAD). As said by the Managing Director/Chief Executive Officer of the Bank, Mr. Segun Agbaje they maintained high corporate governance standards and ensure the Board appointments are in line with global best practices. “Bolaji has been an integral part of the Bank’s success and has seen the bank evolve and develop through the years. I am confident that his appointment to the Board will further strengthen and position the bank for improved performance“ he said. ITRealms recollects that Guaranty Trust Bank plc was established in 1990 and is regarded by industry watchers as the best run and most ethical financial institution within the Nigerian financial services space, due to its bias for world-class corporate governance standards, excellent service quality and innovation. The Bank is one of the few Nigerian financial institutions to have a well-articulated succession plan and this has enabled it seamlessly undertake two management and several board changes since inception. The Bank operates from over 238 branches within the country and has banking subsidiaries in Kenya, Rwanda, Uganda, Cote D’Ivoire, Gambia, Ghana, Liberia, Sierra Leone and the United Kingdom.